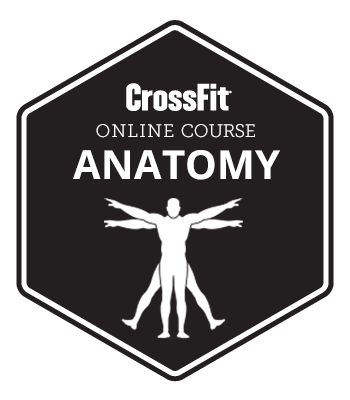 The Anatomy Course begins with information on basic movement and position of the human body. The second module offers an overview of the structure of the human body including bones, muscles, joints and the nervous system. The final modules provide an overview of the anatomy and mechanics of the larger joint structures of the human body: the spine, shoulder and hips. Each module includes a test that must be passed before moving on to the next. Upon completion of the course you will receive a certificate of completion (available at the bottom of this page). A Certified CrossFit Trainer may claim 5 CEUs towards their continuing education. It is recommended that you use Google Chrome to view this course. This course can be completed in multiple sessions. However, it is recommended that you complete a full module before exiting the course, as work on partially completed modules will not be saved.